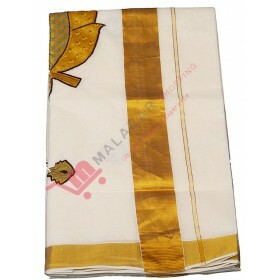 Here we introducing is one of the various collection from Malabar shopping. 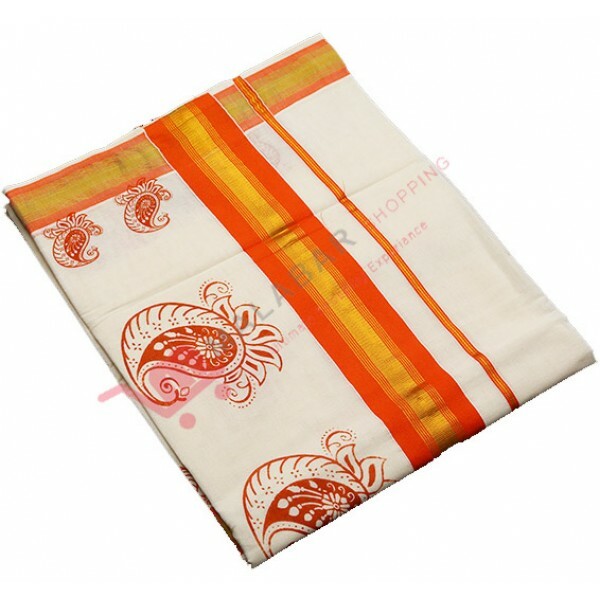 It’s a traditional keral..
New trendy traditional Kerala kasavu churidar with off white color having golden kasavu work on left.. 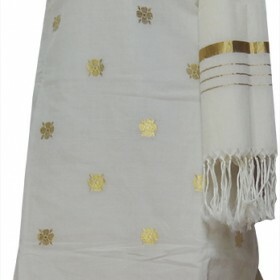 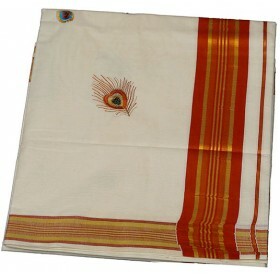 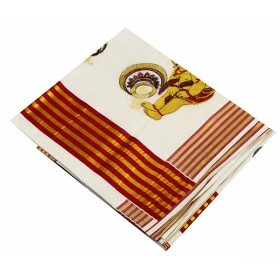 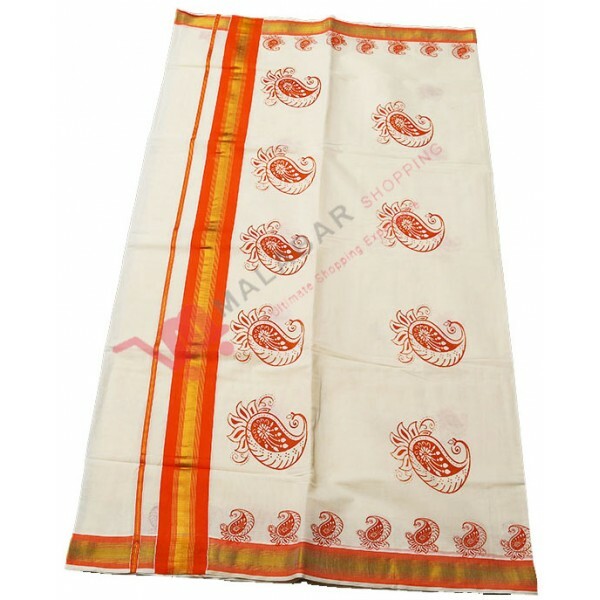 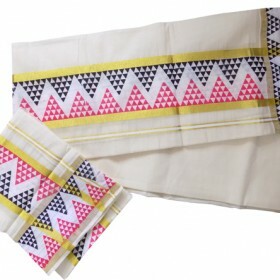 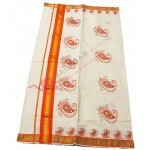 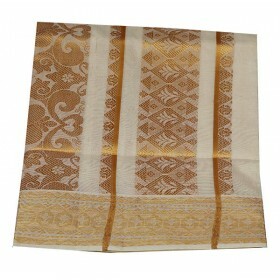 Dazzling cream colour Kerala kasavu saree with orange and golden jari on border along with that the orange printed mambazham design gives the exotic feel. 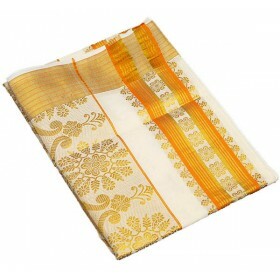 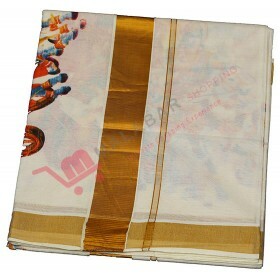 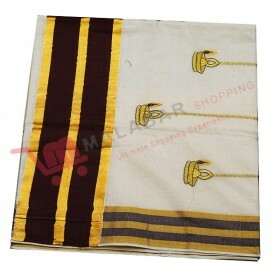 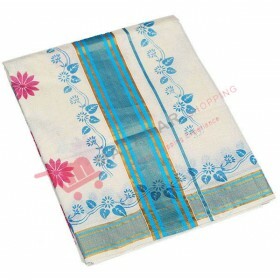 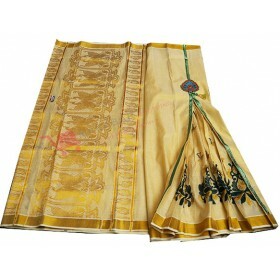 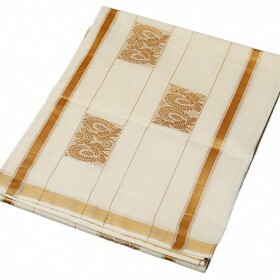 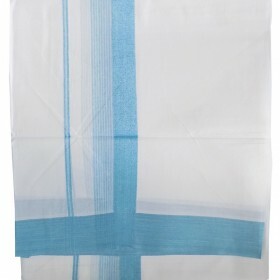 and simple and cute munthani design is more attractive look.just buy kerala kasavu saree at Malabar Shopping.